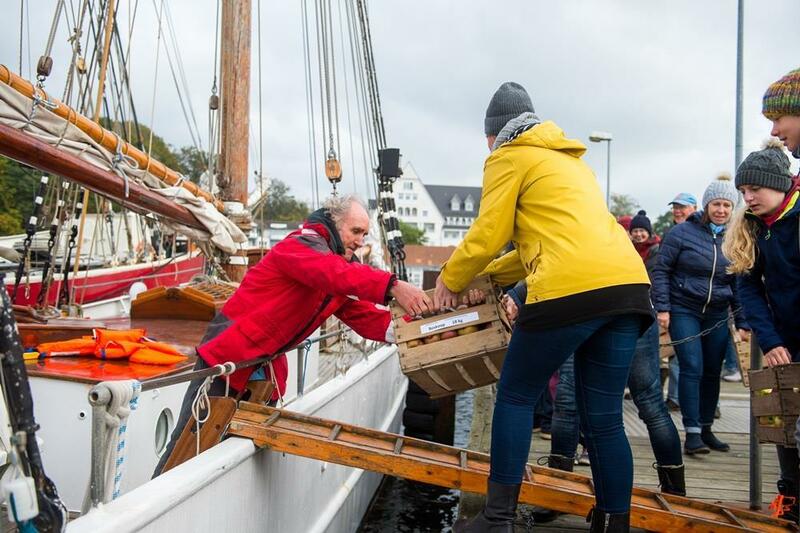 The “German-Danish Apple Cruise” motto is: buy regional food, and keep history alive“: On this day - just like in the old days - multitudinous sailing boats are sailing the waters of Flensborg Fjord, shipping and “hawking” traditional apple varieties. On the Danish side, ships run between Gråsten and Kollund, and on the German side between Flensburg and Glücksburg. All four towns will host a joint program of events, enabling visitors to experience the crossborder-tradition of the “Apfelfahrt”, and invite you to savour the regional multiplicity with all your senses!